A whole lot of soul and a little bit of rock and roll. That’s how I sum up the last segment of Rolling Stone’s Top 500 Albums of All Time. I try not to look ahead too much because I want it to be kind of like listening to the radio, but of whole albums. I also try to keep an open mind, just sometimes, that’s hard. So let’s stop wasting time and jump right in, shall we!? 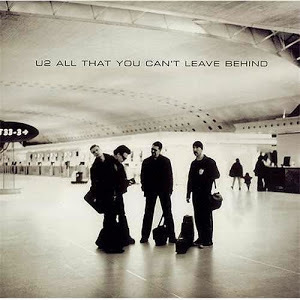 #280 – All That You Can’t Leave Behind by U2. A good start. U2 has grown to be a favorite of mine, at least partly. This was a good return to listenable music from the Irish quartet. Their two previous albums, Zooropa and Pop were, at least in my ears, kind of flops. That’s hard to say but, I believe it to be true. And even this album pales in comparison to its follow-up, How to Dismantle an Atomic Bomb. That is one fine album, but I don’t know if it’s on the list or not. I’d say probably not. Why? Because I like it. But the electronica-laden opener, “Beautiful Day,” is a great tune but not the best song on the album, in my opinion. That comes with track #2, “Stuck in a Moment You Can’t Get Out of.” That is fantastic from its melody to the musicality and down to the lyrics. Great song. “Elevation” and “Walk On” are hit material, as well. “Kite” is a bit like a country song, at least by feel, not necessarily by sonic measure. Bono said it was written about his daughters and The Edge says it was more about Bono’s dad. I can hear more of The Edge’s perspective in it, personally. “Wild Honey” is a straight ahead rock and roll song straight from the style of the 70s and that’s cool. One thing that I have been able to do with this list is see some influences from other artists. I don’t know that The Velvet Underground is an influence of U2 or not, but I can hear them in “Peace on Earth.” The exception is that Bono can sing in key and be pleasant. Not so much with TVU. I take all that back. I definitely hear the influence and upon reading an article that had to do with this album and the song “New York” especially, Bono mentions Lou Reed by name. Apparently, Lou mentioned him by name in a song so, why not return the favor. Actually, Lou’s name was left out of the song, but was meant for him. That’s a pretty good tune, that. Even though this isn’t my favorite U2 album, it’s still a solid and wonderful album. Definitely DUG!! #279 – Aladdin Sane by David Bowie. Not generally a fan of the dirty boogie rock and roll. “Watch That Man” is okay, though. It’s a really weird, but totally Bowie. And sometimes, that’s not the best of things. To me it’s inadequate up beside of some other Bowie discs. The hits “The Jean Genie,” “Time” and the Stones’ “Let’s Spend the Night Together” are the best things on the record. Nothing really stands out to me, though. Mark it up with the other “why” albums on this list that are placed way too high (or in some cases, even on the list). Didn’t hate it, just didn’t enjoy it except the last song, “Lady Grinning Soul.” Meh. #278 – Anthology of American Folk Music by Various Artists. 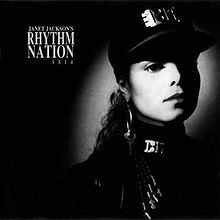 #277 – Rhythm Nation 1814 by Janet Jackson. My first thought was: “there is no way that this can be as good as Control.” Well, perhaps I don’t “favor” it over Control but it is just as good. I didn’t realize the hits this thing had on it. It’s the only album in history to have seven singles reach the Top 5 of Billboard Hot 100. That beats out big brother Michael’s Thriller album, which had 6. Eight singles were released world-wide but only seven in the US. While “Miss You Much” was the first single released it wasn’t my favorite, neither was the title track. “Escapade” I liked very much. “Come Back to Me,” “Love Will Never Do” and “Alright” I did like, but the crème de la crème on this album is “Black Cat.” It’s a rocker and I like rockers, especially “chick rockers.” That’s just plain good hard rock. Subsequent, alternative versions of “Black Cat” have guest guitar gods, such as Nuno Bettencourt of the band Extreme, Jesse Johnson of The Time and Vernon Reid of Living Color. The overall album wasn’t just sugary pop, there was a message here, of self-assurance and (forgive me) “control.” She makes a stand and expects you to as well. The album itself is loosely a concept album. When I saw there was 20 tracks on the album I didn’t really know what to think but many of the tracks (eight, actually) were “interlude” spots of a minute or so, or less. It’s a good album, although I still have a spot in my heart for Control and there is no denying its status as a classic and a darn fine one at that. Dug! 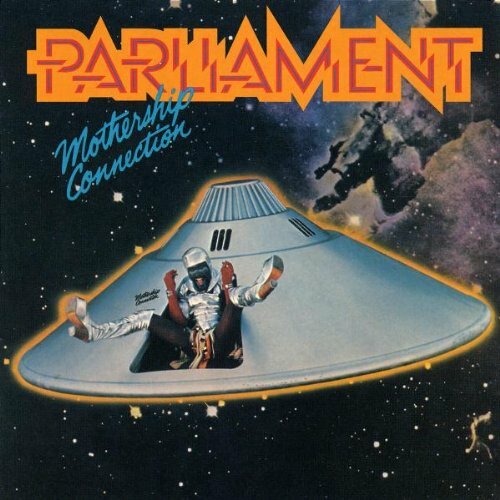 #276 – Mothership Connection by Parliament. I was excited to put this one on. I have found that I like me some funk and especially things that Bootsy Collins is involved with. Bootsy only played on a handful of songs, here. After that comes Cordell Mosson for the rest of them. Horns are prevalent here and this is the first album with trombonist Marceo Parker and saxophonist Fred Wesley, both formerly of James Brown’s band. My two favorite songs is “Handcuffs” (do I have to put my handcuffs on your momma?) and the always awesome “Give Up the Funk (Tear the Roof off the Sucker).” GO CORDELL! This is a great album and I certainly dug it. #275 – The Slim Shady LP by Eminem. Okaaaayyyyyy. I’m not a huge fan of Mr. Mathers myself. At least, I haven’t ever been. We’ll see if this changes my mind. Not really. The white trash aspect of it does nothing for me. I know a good bit of it is “tongue in cheek” and there are moments like “97′ Bonnie & Clyde” is about his daughter and “My Name Is” sets the tone. A lot of the interstitial spots are about people putting him down in one way or another. “Role Model” is all about not doing what he did. Some rough imagery but still can’t shake that it’s all some kind of joke. Maybe I’m taking it more serious than I should? If it is a joke, it’s not too funny to me. I don’t know. I get the novelty of a white guy doing this kind of hip hop and that he does his phrasing unlike most others before him. But overall…? Not a fan of it, really. Meh. 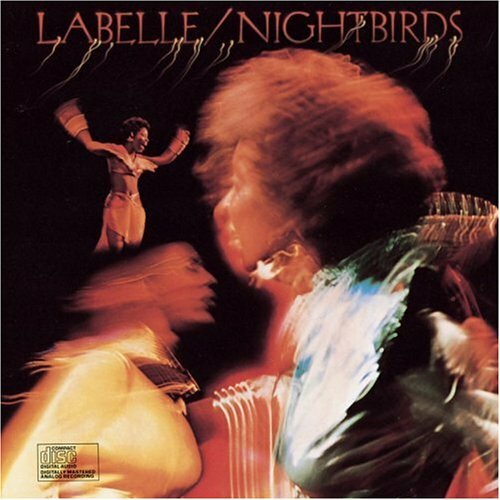 #274 – Nightbirds by Labelle. One of the greatest songs ever recorded, “Lady Marmalade” starts this album out and that, in itself, if fierce. Patti Labelle had a magnificently powerful voice back then. She belted it. The cool thing is that for the most part (not “Lady Marmalade”) Nona Hendryx (a cousin of Jimi – she changed the spelling of her name) wrote a lot of the songs on this album. Five actually. It’s hard to tell when she’s singing but I can tell Patti’s voice most of the time. “It Took a Long Time” is a great tune, too. Girl power is in abundance on this album. Very 1974 in feel and musicality. “Don’t Bring Me Down” reminds me of the “What’s Up With That” skit on Saturday Night Live featuring Keenan Thompson. Later in the album, however, it turns into a mostly run-of-the-mill 1970s album. Not saying it’s bad, at all but it’s nothing spectacular. Save the last tune, “You Turn Me On.” That song’s pretty awesome. I dug it! #273 – Going to a Go-Go by Smokey Robinson and the Miracles. I love artists that write their own music. Out of twelve songs, only one was not written by Smokey and the guys, that being “My Baby Changes Like the Weather” from Hal Davis and Frank Wilson. Also, it’s twelve songs in just over thirty-three minutes. Much music without over-kill, that’s how I like it; to the point and no filler. Great songwriting on this album. The title track does kind of remind me “Working in a Coal Mine” somewhat, which came a year after this album. I’m going to have the ear work, “Ooh Baby Baby” in my head now. I am always singing that chorus and I know I will be back at it, now. Thanks Smokey! Some doo-wop aspects as well as straight up soul. This is a great album. A great collection of songs. Dug! 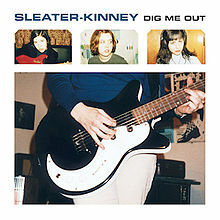 #272 – Dig Me Out by Sleater-Kinney. Femme on riot grrrl!! When The BCPF and I saw Sleater-Kinney perform on Later… with Jools Holland we were quite unimpressed. It wasn’t very good. This, however, is. One thing to note, too, is that there is no bass guitar in this album. They didn’t have a bass player on Jools either, although they did add another girl playing guitar live. One of the ladies is playing more of the upper register stuff and the other is keeping the bottom end going playing with what sounds like it could be an octave pedal. There some depth in the sound but it’s not bass. I also have to chuckle because the drummer (this was her debut with the band) is named Janet Weiss. Dammit Janet! I was writing down songs that I like as I was listening so I could recap it and well, I would have written all of them had I kept going. So, I like all of them. I think you should give it a listen! DUG! #271 – Today! by The Beach Boys. Mid-sixties as usual. Not quite ready to let loose but still annoying parents around the country. Not really my thing but I can see the influence to many that came after. Like most mid-sixties, and really through most of the seventies, everything is really airy. It could be that a lot of stuff was recorded in open rooms and “in the round.” I must admit, I really, really, really don’t get the appeal of the Beach Boys. Notice I said “appeal.” Nothing on the talent, itself. The “appeal” of the Beach Boys is not existent with me. Sure, I may like a song here or there but for the most part, I am at a total loss of understanding. I am so totally not moved by this album, at all. Sure, it has a few good songs, even “hits” like “Help Me Rhonda,” which I totally had to hunt down because that and “I’m So Young” were missing on Rhapsody (seriously, it jumped from track 4 to 6 and 7 to 9 in the track listing itself), and what have you, but I just don’t care. They aren’t appealing to me. It was interesting to hear the recorded “chat session” in “Bull Session with ‘Big Daddy. '” Indifferent. So there, it was a pretty balanced mixture of ratings there. Three “DUG”s, three “Dug”s, three “Meh”s, and only one compilation. So that’s pretty fair and balanced, I’d say, right? I think I was most moved in this segment by Parliament and Janet. Good stuff, I gotta find some Parliament on vinyl as I feel that would be fantastico! Here’s hoping the next segment is, at least, as good as this one!